I have had this recipe in my menu plan before, but because it’s so good and so easy, with only 4 ingredients, I wanted to feature it. It tastes fabulous and gives enough for leftovers too. Repeat these same layers one more time, and then top with the remaining sauce and cheese. Cover with foil, and bake in a preheated 400 degree oven for 40-45 minutes. Let sit for a few minutes if you want it to firm up a bit before you serve it. 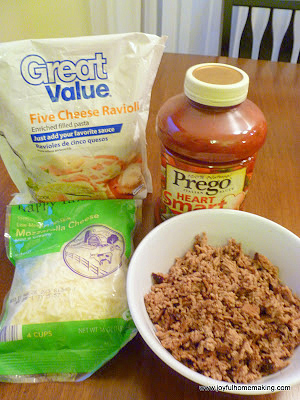 After your beef is browned, in a 9 x 13 inch casserole dish, layer in this order: 1/3 of spaghetti sauce, 1/2 of the ravioli, 1/2 of the beef, 3/4 cup of cheese. It’s so yummy, I just know you’ll enjoy it! This sounds and looks so good! Thanks for the recipe. I will be trying this soon! What a great idea! Its sounds wonderful! 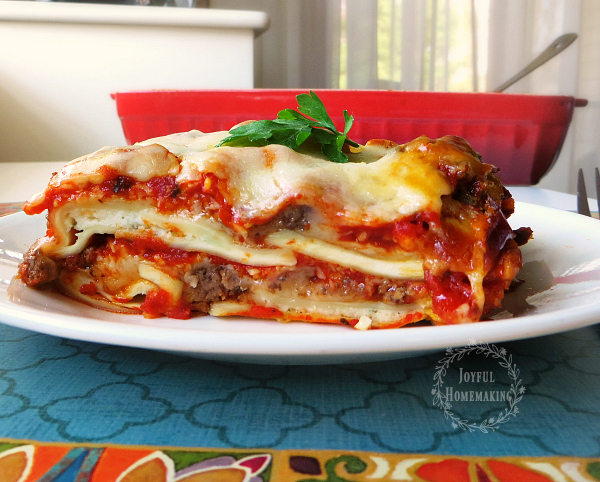 I make something very similar, but instead of ground beef, I put cottage cheese in the layers. My version also came from Taste of Home and we have been enjoying it for years! That’s a great idea for a meatless version! What a great idea. I think I’m going to give this a try. Thanks for passing it along. 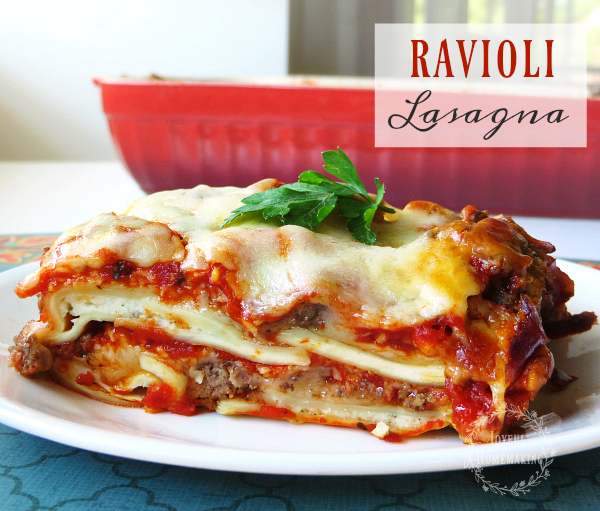 I’m so excited to find a lasagna recipe that I would actually be able to do! Thanks for sharing. It looks amazing! Hey Margo,I saw this in a magazine and am excited to try,thanks for sharing your recipe @BNOTP #39,now that I see how delish this is,I’m def going for it. I’ve done something like this before and it is sooooo good and makes a great freezer meal, too. This does look too simple and easy. Can’t wait to make it for my family. Just pinned this to try later. 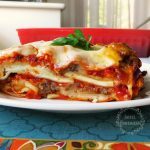 Yummy–wish I could find a gluten free lasagna! 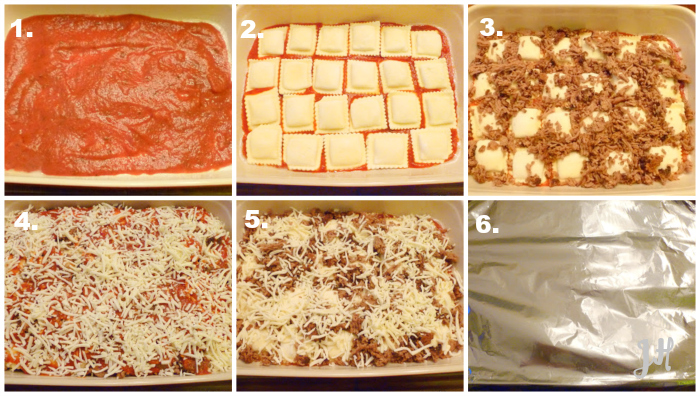 Your Ravioli Lasagna looks amazing, we will love it. Thank you so much for celebrating TWO YEARS with FULL PLATE THURSDAY, I appreciate your visit! I am so impressed with this simple, yet impressive recipe. Thank you so much for sharing. I’m going to pin and be sure to make it before Spring hits! Found you via Weekend Wander from While He Was Napping. Hope you have a chance to swing by my blog sometime. I am going to try this. I am looking for stuff I can make for my picky husband.